Find the best Christian Paul coupons and deals. With a proud commitment to innovation and ideas, Sydney-born designer Timothy Caruana initiated the offset of the Christian Paul brand. Inspired by the birth of his son, the brand is tied to a heart-warming legacy that has come to shape the story behind our evolution. Even the logo reflects such sentiments, illustrating the time of 11.25am when Christian Paul was born- this, therefore, is Christian Paul time. Classical war time era, delicate pieces inspired by the classical Cuban culture. From vintage cars to heirlooms, there are many stories to be told and made with Christian Paul’s classical collection. 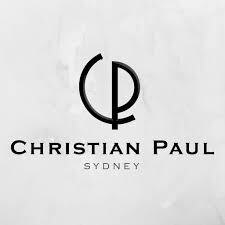 Christian Paul are pleased to offer free worldwide shipping for all orders over $199AUD (average timepiece price).